There are several ways of approaching Rhenigidale – with anticipation, interest, curiosity, relief or, perhaps, trepidation. It varies as to whether you are on foot, bicycle or in a car. 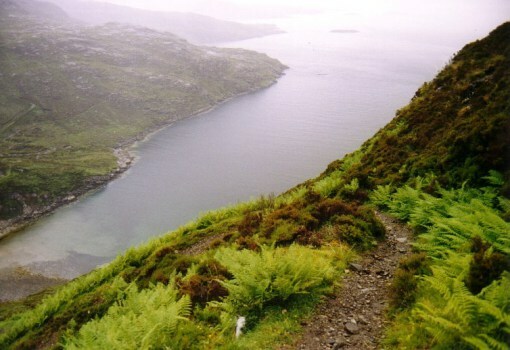 Those who have come – or or considering – by the hill-routes should enjoy the blog, The Adventures of a Mountain Coward, and particularly the part where Loch Trollamarig and The Scriob are described. Go on … click on! You will be transported to places that inspire and see something of the hostel’s hinterland.